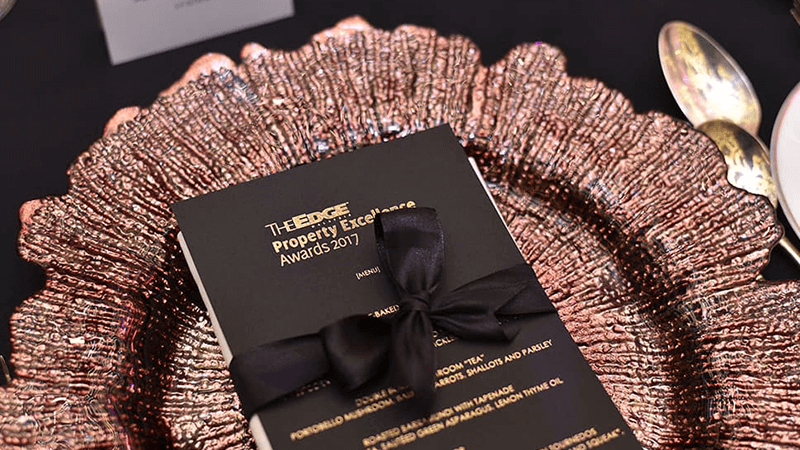 The Edge Malaysia Property Excellence Awards, introduced in 2010, was initially made up of anchor award The Edge Malaysia Top Developers Awards, alongside two other sub-awards , namely The Edge Malaysia-PEPS Value Creation Excellence Award and The Edge Malaysia-PAM Green Excellence Award. It subsequently expanded to include The Edge Malaysia Affordable Urban Housing Excellence Award, The Edge Malaysia Outstanding Property CEO Award, The Edge Malaysia Outstanding Property Entrepreneur Award, The Edge Malaysia Property Development Excellence Award and The Edge Malaysia Pioneer Development Award. This year, we have a new award – The Edge Malaysia Outstanding Contribution to the Housing Industry Award. This new award went to Tan Sri Ong Ka Ting for his contribution to the housing industry during his 10-year tenure as the Minister of Housing and Local Government from 1999 to 2008. After the 1997/98 financial crisis, the housing industry went through a decade of unprecedented growth. Demand for properties both as a home to live in and as an asset to invest in grew exponentially and there was pressure to ensure that supply was adequate and delivered on time. This required more efficient, effective and speedier regulatory and bureaucratic processes to be put in place without sacrificing the protection of house buyers. It is not an easy task to achieve. Between 1999 and 2008, the government introduced initiatives like the One Stop Centre for Approvals, the Property Management and Maintenance Act and the National Housing Arbitration Centre to facilitate the healthy growth of the industry. This award recognises industry captains who have made significant and outstanding contributions to growing their companies into dynamic players at the forefront of the industry. This year’s winners are Tan Sri Ter Leong Yap of Sunsuria Bhd and Datuk Lee Tian Hock of Matrix Concepts Holdings Bhd. The two entrepreneurs have quietly, but significantly, built up their development businesses outside of the core Klang Valley region of Kuala Lumpur and Petaling Jaya over the past 15 years. Today, their organisations have joined the ranks of property companies with more than a RM1 billion market capitalisation on Bursa Malaysia. This award recognises CEOs or professionals who have successfully taken their companies to an exceptional level. This year’s winners are Sarena Cheah of Sunway Bhd and Datuk Khor Chap Jen of S P Setia Bhd. Leadership changes are often not smooth and when change happens during a business downturn it becomes even more challenging. The two CEOs took on a leadership role a few years ago, just when the market was entering the down cycle, and have successfully made their firms two of the best performing property companies on Bursa Malaysia. This award recognises successful, large-scale property developments that have made a significant impact. The projects have to be catalysts for growth while continuing to contribute positively to the vibrancy of the area. Disruption is a word we hear very often today. The digital tsunami is threatening to put many traditional businesses out of business. Shopping malls are said to be the next to be hit by the likes of Alibaba and Amazon and smaller e-commerce enterprises. While some will definitely suffer, others will survive and may become even stronger because they have the ability to reengineer themselves and their product offerings. These three outstanding family malls have weathered the various crises of the past 20 years and we believe they will be resilient to the onslaught of e-commerce. Jalan Bukit Bintang has historically been Kuala Lumpur’s most famous shopping and entertainment street. Since the mid-1980s, however, it has been overshadowed by modern shopping and entertainment areas that have emerged in Kuala Lumpur and Petaling Jaya. Pavilion Kuala Lumpur is a development that has not only contributed to the major regeneration of Jalan Bukit Bintang but also elevated Kuala Lumpur to an international luxury shopping destination. One of the major problems we face is urban decay. It is definitely far easier to build on an empty piece of land than to redevelop an old area that has occupants on it. It takes a lot of resourcefulness and determination to make it happen. This award recognises the catalytic role that Think City Sdn Bhd, which is part of Khazanah Nasional, has played in the successful regeneration of George Town’s inner city into a living and thriving area through its engagement with private building owners, NGOs and local authorities. Everyone can see how different George Town is today from what it was 10 years ago. This award recognises developments or projects that created new trends leading to the growth of the Malaysian property industry in a significant way. There are two winners for this award – KDU University College by Paramount Corp Bhd and Sunway University by Sunway Bhd. Private education is a big business today and we can see many developers starting private colleges and universities as an integral part of their development projects. It makes business sense. These two developers had the vision to diversify into education more than 20 years ago, well before everyone else. Introduced in 2014, this award seeks to identify and encourage the private sector to provide more, and better-quality, affordable housing. Only projects undertaken wholly by private-sector developers that receive no aid of participation – direct or indirect – from the government are eligible. The winner is Seri Mutiara in Setia Alam, Shah Alam. with the merit award going to Bayu Nusantara in Nusa Bayu, Johor.